The effects of cannabis on teens is a hot topic even though the majority of teens don't consume. For decades, teenagers have been chastised, accosted, and even incarcerated for consuming cannabis. Yet, for decades, they still lit up, smoked out, and hid their stash from their parents. While no one in their right mind would advocate for underaged cannabis smoking, a new review published in JAMA Psychiatry found that when it comes to cognitive abilities, the notion of cannabis brain damage doesn't appear to be an issue. The cannabis plant has been a favorite pastime among teens and college students for years. Yet, the idea of youngsters sparking up still sends a shiver up the spines of many parents and public health officials. The effects of cannabis on teens may be different than with adults. If recent science is any indication, teenagers may be particularly susceptible to the sedative impacts of the herb, which may affect school performance. During this time of rapid learning, teens and adolescents are also more likely to become dependent on the plant for longer periods of time. There are further mental health concerns to consider. In individuals who are predisposed to mental health troubles, multiple studies show a correlation between teen cannabis use and the early onset of psychosis. One shocking 2014 study found that individuals who smoked cannabis daily before the age of 17 were 7 times more likely to attempt suicide. As with most correlative research, however, it is difficult to separate the chicken from the egg without further investigation. Yet, what about the argument that cannabis damages the teenage brain for good? Does the wicked, wild herb impair learning, memory, and attention in the long-term? The answer, according to the JAMA Psychiatry review published in June, is maybe not. Cannabis brain damage in youth has been a top argument of prohibitionists for years. While chronic cannabis consumers did show a small difference in learning, memory, and attention, the data says that these changes seem to go away within just a short period of abstinence. The review was a meta-analysis of 69 different studies testing cognitive functioning in adolescent and young adult cannabis consumers. Cognitive functioning is a term that encompasses a wide variety of basic mental skills, including attention, learning, memory, verbal fluency, and a few other heady tasks. After crunching the numbers, the review found that cannabis consumption in adolescents and young adults was associated with slight deficits in mental faculties in chronic consumers. However, and perhaps most importantly, these small deficits dropped significantly when consumers gave up the plant for a mere 72 hours. Though not perfect, these findings make many of the damning headlines about cannabis brain damage seem like overkill. Parents may have bigger things to worry about than their teens experimenting with the herb. As with all studies, however, no research is entirely perfect. However, in the science world, a meta-analysis is about as high-brow as you can get. The review examined data from a multitude of cross-sectional studies, which looked at snapshots of certain populations over time. In total, 2152 cannabis consumers and 6575 non-consumers were included in the review. While the study included the effects of cannabis on teens and young adults, the average age of those included in the study was 26 years old, plus or minus roughly three years. This age is perhaps skewed a little older than many parents would prefer. A separate analysis which included research only among adolescent consumers may find different results. Yet, this study falls in line with several other recent publications. A pair of studies published back in 2016 showed similar results when testing IQ. In two separate studies of identical twins over a 10-year period, researchers at the University of Southern California and the University of Minnesota found no correlation between teen cannabis use and reduced IQ. Similarly, a study of more than 2000 British teens published in the Journal of Psychopharmacology the same year found that it was teen cigarette use, not cannabis, that was more strongly linked to lower IQ and poor education outcomes. Fortunately for parents and teenagers alike, the majority of adolescents and teens seem to avoid sparking up. Also in 2016, the results of the Washington State Health Survey found that rates of cannabis consumption in teens have remained constant over the past decade, with 74 percent of high school seniors abstaining from the herb. This is despite the legalization of adult use in the state. Overall, the survey looked at data from over 230,000 student responses. As a good number of children of the 1960s can attest, many teens and college students go on to live happy, successful, and healthy lives even after experimenting with the herb in their youth. So while cannabis brain damage doesn't appear to be a thing, we cannot say the same for cigarettes when considering the current scientific data. However, when it comes to cannabis, parents still face many tough decisions ahead. While there are still many very good reasons to wait to consume the plant until later in life, perhaps this research will help a few concerned moms and dads breathe a small sigh of relief. 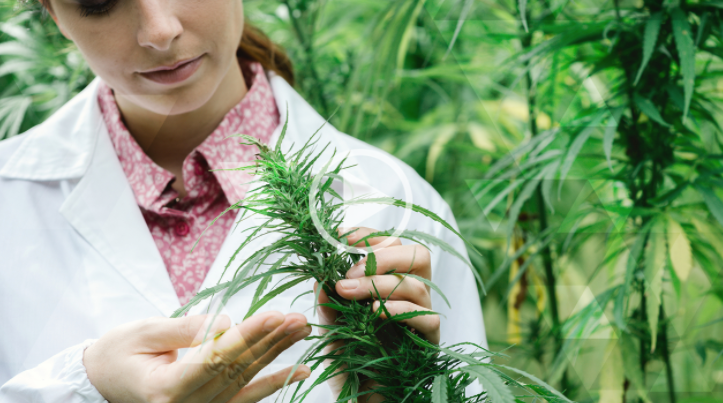 How much research do we actually have on cannabis? You'll be surprised! Are you concerned about teens consuming cannabis?